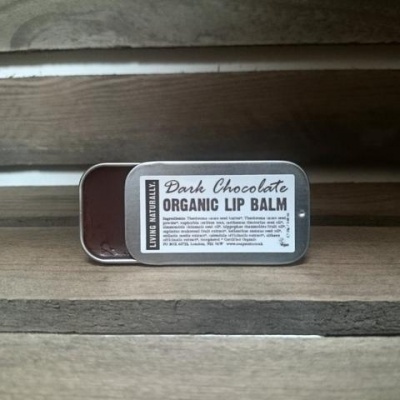 An Organic Vegan Lip Balm. Made in the UK. Choose from Cardamom & Lavender, Dark Chocolate or Unscented, subject to availability. 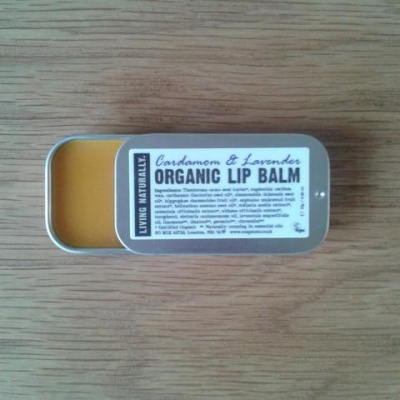 An Organic Vegan Lip Balm. 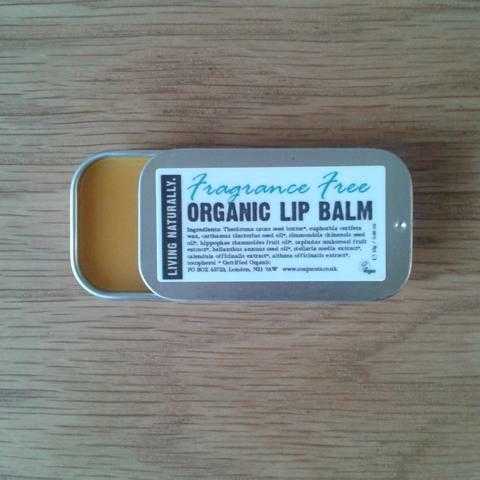 Free from Palm Oil and packed in a recyclable metal tin. Choose from Cardamom & Lavender, Dark Chocolate or Unscented, subject to availability. This Organic Vegan Lip Balm is made with protective and nutritive oils, butters and waxes enhanced with Organic Soapnut Extract and organic botanical extracts of chickweed, calendula and marshmallow to create an anti-inflammatory, healing, softening and nourishing lip balm. CARDAMOM & LAVENDER INGREDIENTS: Theobroma cacao seed butter*, Euphorbia Cerifera wax, Carthamus Tinctorius seed oil*, Simmondsia Chinensis Seed Oil*, Hippophae Rhamnoides fruit oil*, Sapindus mukorossi Fruit Extract*, Helianthus Annuus Seed Oil*, Stellaria Media Extract*, Calendula Officinalis Flower Extract*, Althea Officinalis extract*, Tocopherol, Elettaria cardamomum Oil, Lavandula Angustifolia Oil, Linalool** *Organic **naturally occuring in oil. DARK CHOCOLATE INGREDIENTS: Theobroma cacao seed butter*, Theobroma cacao seed powder*, Euphorbia Cerifera wax, Carthamus Tinctorius seed oil*, Simmondsia Chinensis Seed Oil*, Hippophae Rhamnoides fruit oil*, Sapindus mukorossi Fruit Extract*, Helianthus Annuus Seed Oil*, Stellaria Media Extract*, Calendula Officinalis Flower Extract*, Althea Officinalis extract*, Tocopherol, Elettaria cardamomum Oil, Lavandula Angustifolia Oil, Linalool** *Organic **naturally occuring in oil.